Legislation that would allow erasure of more than 226,000 misdemeanor marijuana convictions is being considered by state lawmakers. In the month since Gov. Jay Inslee offered pardons to thousands of people convicted of misdemeanor marijuana offenses, just 13 have received the official act of forgiveness. But a more sweeping proposal in the state Legislature may be gaining momentum, offering the potential clearing of criminal records for hundreds of thousands of others. 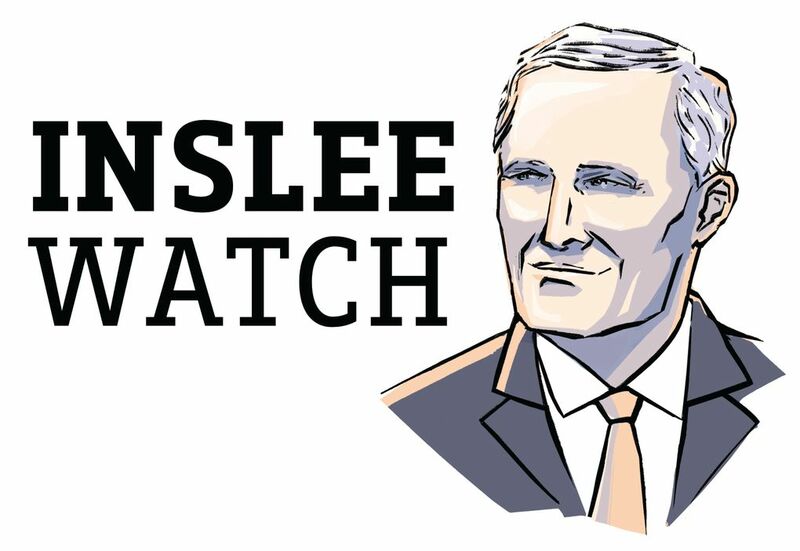 About 3,500 people are estimated to be eligible for pardons under Inslee’s plan. As of Wednesday, 160 had applied, but the vast majority did not meet the eligibility conditions, said Tip Wonhoff, the governor’s deputy general counsel. After an initial rush of interest in the pardons, “it’s been a little slower than I thought,” he said. For those who have qualified, however, the pardons have come as welcome relief. Taneesa Dunham, of Walla Walla, leapt at the chance to reverse her marijuana conviction from 2005. Dunham said she and her boyfriend at the time had been arrested after police, seeking someone involved in a hit-and-run, busted in the door to their house at 1 a.m. with guns drawn. Smelling marijuana, they searched the home and found a cache of prerolled joints Dunham says belonged to her then-boyfriend. Initially charged with a felony, court records show Dunham pleaded guilty to misdemeanor possession and received a 90-day jail sentence with 89 days suspended and two years of probation. Last month, Dunham’s mother saw a newspaper article about Inslee’s pardon offer and called to read the article to her. “I was jumping up and down with joy the entire time she was reading it. I immediately went to the website and filled [the application] out,” she said. A pardon signed by Inslee soon arrived in the mail. Although Dunham’s conviction remains in court records, the pardon is listed, too. Dunham said her criminal record, while minor, had made it difficult for her to get a job as she’d had to report it on employment applications, and she worried her daughter’s school would exclude her from field trips. A recreational marijuana user in her 20s, she says she now uses cannabis medicinally for help with a back injury that has left her on disability. 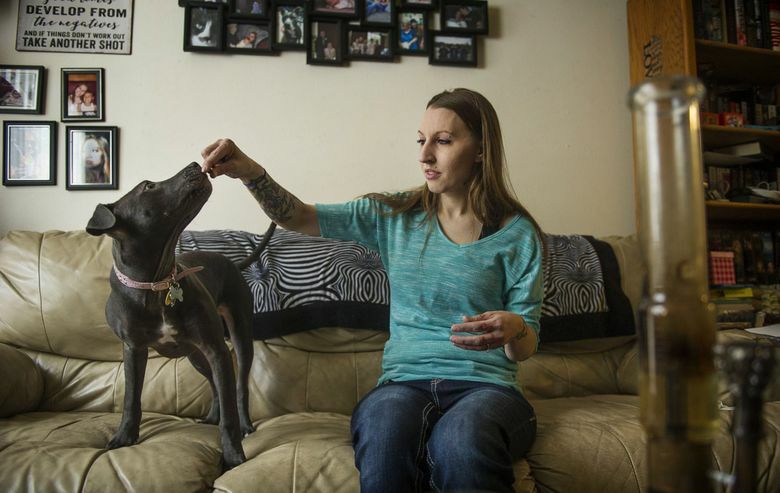 “I am just really glad it is legal now so nobody has to go through what I had to go through, and the courts and the cops can go after the real drug dealers and leave the potheads alone,” she said. Chris Tilzer, of Covington, also was pardoned by Inslee for a pot-possession conviction in 2006 after Bellevue police cited him for smoking in a park. He served one day in jail, according to court records. “I was working and it could have caused me problems if they would have found out about it,” he said, adding that the blemish on his record has since complicated some international travel plans. Tilzer now works in the cannabis industry and said he appreciates Inslee’s effort, but the state should do much more. “The amount of people who meet the qualifications is not going to really help anybody — not that many people,” he said. Such relief could be on the way. Sponsors of legislation that would allow hundreds of thousands of people with minor marijuana convictions to expunge their records say the proposal could have a better chance this year than in the past. Rep. Joe Fitzgibbon, D-Burien, has introduced a similar bill every year since 2013 without success, but says this year’s version, House Bill 1500, could break through. “It just seems like there is a lot more momentum this year than any of the past times I have taken a run at it,” he said, noting support from Inslee, the state’s cannabis industry and organized labor. The proposal has drawn criticism from the Washington Association of Sheriffs and Police Chiefs, whose policy director, James McMahan, testified against it during a public hearing Tuesday before the House Public Safety Committee. “It is a relevant and influential point with us that at the time these convictions were imposed it was illegal. It was against our law. And we as a government and as a society said this is not OK,” McMahan said, noting that some of the misdemeanor convictions had been pleaded down from felonies. But Sen. Joe Nguyen, D-White Center, the prime sponsor of an identical companion measure, Senate Bill 5605, said the Legislature needs to repair damage done by decades of marijuana arrests that disproportionately affected minority communities. Before legalization, black people were 2.8 times more likely to be arrested for marijuana possession than whites, despite being no more likely to use marijuana, according to a report by the American Civil Liberties Union. “We’ve acknowledged our society has done some things that have criminalized black and brown bodies … our justice system is broken and in order to fix it we need to erase some of these convictions,” said Nguyen, whose bill is expected to receive a public hearing this week.